Step 1 Enable the Steam plugin. First thing you'll have to do is enabling the Steam plugin here. It's required by the CS:GO and lets you link your Steam account with Mikuia. Go to your Dashboard, select Plugins, find Steam on the list, and enable it. Step 2 Link your account with Steam. After you enable the plugin, click the Settings button for the Steam plugin. You should now see an empty field called "Steam ID". 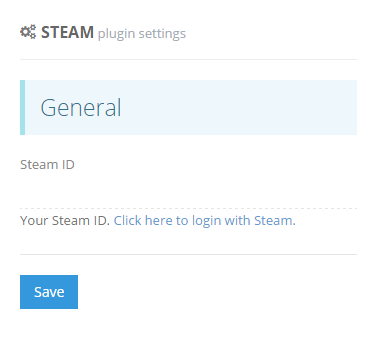 Click the login link under the field to link your Steam account. Step 3 Enable the CS:GO plugin. This step is very similar to the first one, you should know what to do here. 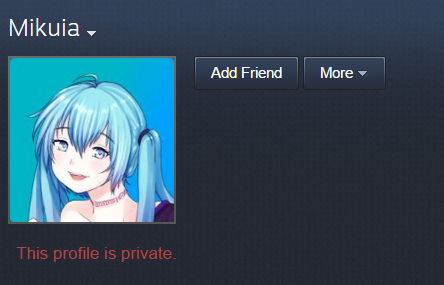 Step 4 Add Mikuia to friends on Steam. This step is self-explanatory too. Step 5 Add the command. Mikuia should now include your profile in the profile info checks every 10 minutes. You need to be live on Twitch. Your stream game has to be set as Counter-Strike: Global Offensive. Your Steam account has to be linked to Mikuia. You need to have CS:GO launched. Now, you can go to the Commands and add your rank command. Keep in mind that this feature is in beta. If you encounter any critical issues with it, please let me know on Mikuia Support. Have fun.